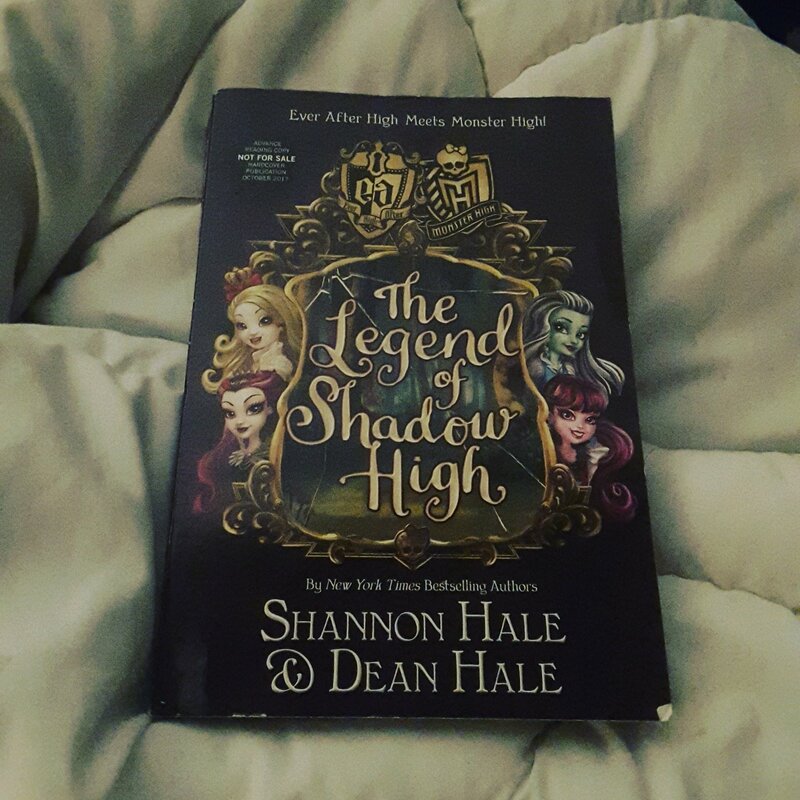 I received the ARC of The Legend of Shadow High by Shannon Hale and Dean Hale from #kidlitexchange to read in exchange for an honest review. All opinions are my own. 🌟🌟🌟🌟🌟 I was so excited to read this book that when I received it I read it straight through without setting it down! Amazingly written to trap your attention in several stories and situations at once. Brooke Page narrates this book without even graduating from high school and quickly describes footnotes and how they work. Monster High characters Frankie and Draculaura are vividly described first and a few chapters later you meet Apple White and Raven Queen. And of course no story is complete without an Evil Queen. After discovering one another in storage ways they are forced to ban together to save their friend Madeline Hatter and ultimately the storybook world. There is an awesome section that turns the story into a choose your own adventure, I recommend you try them all. I did! Review also posted on Instagram @jasonnstacie, Library Thing, Goodreads/StacieBoren, and my blog at https://readsbystacie.com.